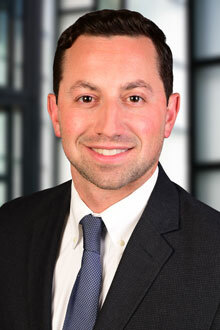 John Badagliacca is an associate in the Newark office of Lewis Brisbois and a member of the Aviation Practice. After graduating law school, Mr. Badagliacca clerked for the Honorable Robert P. Contillo, P.J.Ch. in Bergen County. In that capacity, he was responsible for managing the General Equity and Probate motion calendars, conducting legal research, and drafting legal memoranda for emergent matters, trust and estate matters, and matters seeking equitable relief. Prior to joining Lewis Brisbois, Mr. Badagliacca was an associate at a civil defense firm in New Jersey, where he practiced in the areas of professional liability, employment discrimination, and general liability. John M. Badagliacca, The Decline of Tenure: The Sixth Circuit's Interpretation of Academic Tenure's Substantive Protections, 44 Seton Hall L. Rev. 905 (2014).